Charcoa House 100% ... 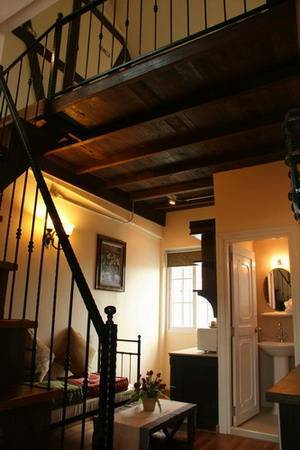 The Charcoa house was a wonderfule place to stay. Loved it. Would go back and would reccomend it. Charcoa House and Restaurant Sine 2004 is located in the old City of Chiang Mai. 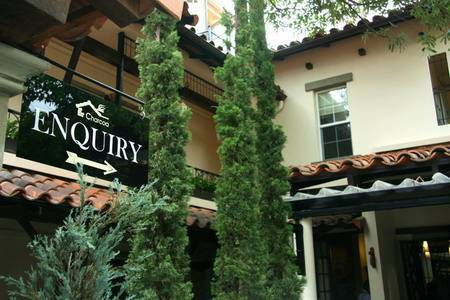 At this lovable area we have created a lovely Bed & Breakfast for your relaxation and tranquility. The Rose of Thailand. We will be always at your service. All rooms have been individually decorated within a European courtier framework and similar to most luxury hotels have been fitted with 32" flat screen TV's, DVD players, Air Conditioning, fully stocked mini-bars, high speed internet (also available throughout the restaurant area) and safe boxes, and all include breakfast. There is a nuance of Lanna elegance at play throughout the rooms and elsewhere, but overwhelmingly the décor is European. Log beams appear on certain of the ceilings and there is a scattering of teak wood and local furnishings that complement the overall theme. 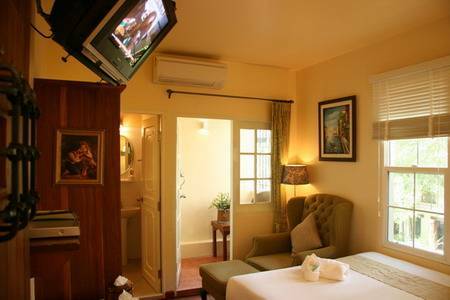 The eight deluxe rooms have been split into single & twin rooms, family rooms (with connecting doors), and the four studio suites come in two styles one with a special bathroom, the other a special kitchen. All four have been ingeniously designed with the bedroom located upstairs on a mezzanine level, leaving the whole of the ground floor for a compact living space that includes a Jacuzzi, couches, working desk and chair, and a dining and kitchen area (that comes with a coffee maker). Other facilities at this mini hotel, aside from the adjoining restaurant and bakery from where room service is available, are the family mart, charming library and DVD rental. 1. Superior Room [single bed or Double bed ] 4 units Queen size Bed, Convenient Bathroom, Air conditioning, Cable TV, DVD Player, Refrigerator and Mini snack bar, Relaxation Balcony, Free Fast speed WIFI. internet. 2. Deluxe Room [ Twin bed or Double bed] 4 units Comfortable room which Two single beds or King size Bed, Convenient Bathroom, Air conditioning, LCD. 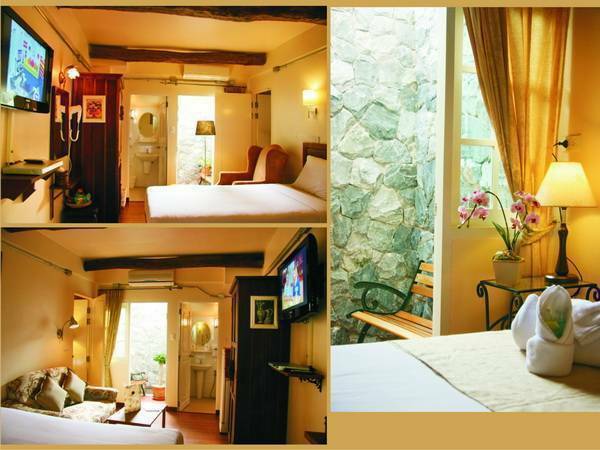 Cable TV., DVD Player, Refrigerator and Mini snack bar, Relaxation Balcony , Free Fast speed WIFI. internet. 3. Family Deluxe Room [ Parents Bedroom and Children bedroom] 1 unit In The connection rooms which Two single beds and a King size Bed, Convenient Bathroom, Air conditioning, LCD. 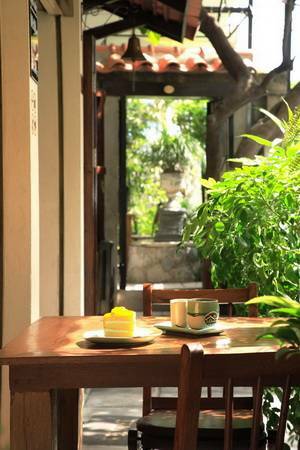 Cable TV., DVD Player, Refrigerator and Mini snack bar, Relaxation Balcony , Free Fast speed WIFI. internet. 4. 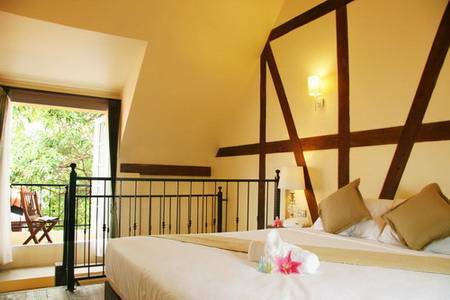 Studio Attic Room [Junior Suit or Junior Sweet] 4 units In The 2 stories suit room with King size Bed on attic, Living room on 1st floor, Air conditioning, LCD. CableTV., DVD Player, Refrigerator and Mini snack bar, Relaxation Balcony, special shower room in Junior sweet or pantry and microwave in Junior suit, Free Fast speed WIFI. internet. Cultural center museum 1 km. SomPet local market 600 m.
Three king memorial 900 m.
Kad saun kaew shopping center1 km. Sunday walking street 1 km. Night barZza market 2 km. Chiang maun temple 400 m.
High Season :100% for the entire value of room night reserved and meal of the first day. Peak Season :100% for the entire value of room night reserved and meal of the first day. During Peak Season, cancellation received within 48 hours of arrival date will be charged equal to the entire value of the booking.